The question is not whether A Good Day to Die Hard, the fifth film in which grizzled New York cop John McClane fails to acquiesce to the ending implicit in its title, is worth seeing. It’s not. It’s a terrible, terrible movie. The only question is where your mind will wander while the film fails to hold your attention. I found myself pondering the state of humanity, particularly those humans with whom I shared the theater. I shot hate rays at the couple next to me who seemed to be thoroughly enjoying the action sequences and guffawing at Bruce Willis’s tired one-liners. I sympathized with the lady behind me who, in response to one character stating that he had “blown the mission,” shouted out, “I don’t even know what the mission is.” And I secretly applauded the couple who walked out after the first fifteen minutes. They had it easy; I told myself that I owed it to my readers to stay through the whole thing. You guys owe me one. And they do a lot of killing. A Good Day to Die Hard fits right in among the other ‘80s Rogue Cop throwbacks of this season – The Last Stand and Bullet to the Head – by embracing the high body counts and splattered blood that seem to be going out of fashion after the gun tragedies in Aurora and Newtown last year. The poor box office performance of these films seems indicative of the public’s decreasing taste for blood. While these three films are far too bad to be offensive, Bullet and The Last Stand at least understand what they are, an homage to an earlier time period. There was a wink to the camera embedded in their point of view. This one doesn’t care enough to have a point of view. Willis seems to be trying a little harder than he has in recent years – I counted two actual attempts at emoting – but that only makes his failure even sadder. Although some critics will simply say the Die Hard franchise has passed its sell-by date, there is a way to do this right. Other long-running franchises have addressed the increasing age of their stars or the change in cultural mores embodied by new eras by making them more vulnerable. I enjoyed Lethal Weapon 4, which embedded its heroes’ age-influenced decline into its plot and pitted them against an enemy who everyone acknowledged was both younger and more-skilled. It was even more thrilling when they beat him. The creators of this new Die Hard take the opposite tack, making the aging Willis even more impervious to harm. After jumping off not one but two buildings and surviving a horrific car crash, you begin to wonder if the regular ol’ guy from the original Die Hard was in fact a superhero all along. His invulnerability to injury does little for the story but lower the stakes. Another option would be the 007 route. Of course, the James Bond franchise gets to recast its hero every few years, but its reboot with 2006’s Casino Royale, in which the character is given a motivating backstory, is instructive. It’s not that McClane needs to be recast – although I could see it work with another actor, it should certainly not be the stone-faced Courtney – but the series’ themes needs to be either reframed or dug into. 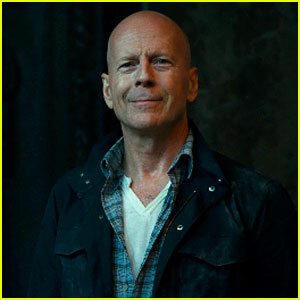 How about we learn a bit more about what makes McClane tick? Why don’t we bring his ex-wife back instead of just adding children we have never heard about before? Well, that would take work. As for the film’s politics, they are as muddled as the rest of the film. Upon hearing that McClane would travel to Russia in this one, I had hoped the setting was an indication that the film would acknowledge its Cold War roots. No such luck – if it is possible to make an apolitical movie about the CIA’s activities in Russia, this is it. Perhaps the best we can say is that the film reflects poorly on both America and Russia, since every character in the movie is an idiot. Every opportunity to nudge the plot towards the slightest geopolitical subtext is quickly discarded (Sample dialogue: “You know what I hate about Americans? Everything.”), and the setting seems ultimately as arbitrary as everything else in the film. With heightened tension between the U.S. and Russia in recent years, perhaps the making of the film can at least stand as an example of good diplomacy; I noted in the credits that the crew seemed equally divided between Americans and Russians. Am I grasping at straws, trying to find some tiny silver lining in this lifeless dark cloud of a movie, to suggest that there is something good in that? Probably. The last film I can remember that was made in collaboration with Russia was last year’s Branded, which would have been considered the worst film of the year had anyone seen it. If these two films are any indication, the future of diplomacy between these two former enemies is not bright. It may, in fact, give “mutual destruction” a whole new meaning. Just skip it. It’s not worth your time and will most likely just piss ya off. That’s what it did to me and I have yet to forgive myself for it. Nice review.